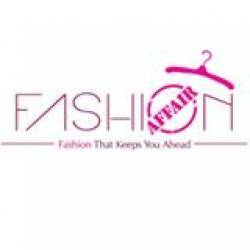 If you are thinking of wearing something special on your cousin’s wedding, then Fashion affair is the place to be. This fashion kiosk houses the trendy and in vogue western outfits for ladies which suits your personality. You will find a varied collection of tops and bottoms with comes in breathtaking colors and textures. You can go for embellished white maxi or two pieces floral dress which is best suited for special occasions. Moreover, you will find matching bags, sunglasses, and necklaces on this very store that can complement your attires.